Neutrophils and anthrax bacteria. Coloured scanning electron micrograph (SEM) of neutrophils (green), red blood cells (red) and anthrax bacteria (Bacillus anthracis, blue). Neutrophils are white blood cells, and are part of the body's immune system. 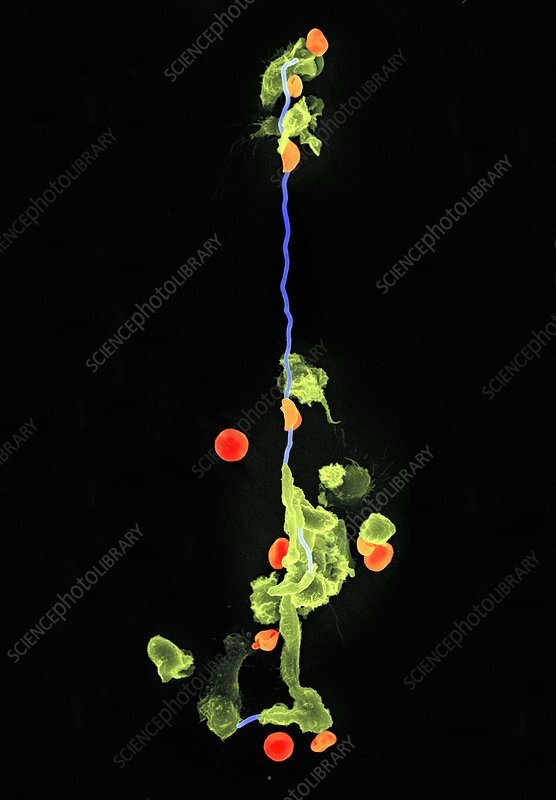 Here, they are engulfing (phagocytosing) the bacteria and attempting to destroy them. B. anthracis is a Gram-positive, rod-shaped bacterium that causes the potentially fatal disease anthrax.